To this day, Hanna Hirsch-Pauli’s painting Breakfast - Time from 1887 is still able to trigger feelings of intense sensual pleasure from our visitors. “We truly feel invited; it is just like our very own breakfast ritual. The chairs are waiting for us and we can almost feel how the heavy teapot tilts as we lift it.” The table which is laid with beautiful objects gives associations to family life and domesticity. The image shows a corner of reality, where the bourgeois dining room has been removed to the garden. This is an open-air painting suffused with light. The subject is dappled with reflections that give the objects a suggestive shimmer. It is a juste-milieu painting, being at once anchored in the classicist tradition with its linear perspective, but also inspired by the way the Impressionists depicted light with colour. Like many Swedish artists at the time, Hanna Hirsch-Pauli studied in Paris and exhibited at the Salon. The use of light, the lively brushstrokes and the thickly applied paint outraged several Swedish critics at the time. They saw her technique as “slipshod” and one critic meant that the flecks of light on the table cloth were probably the result of the artist “wiping” her own brushes on it. 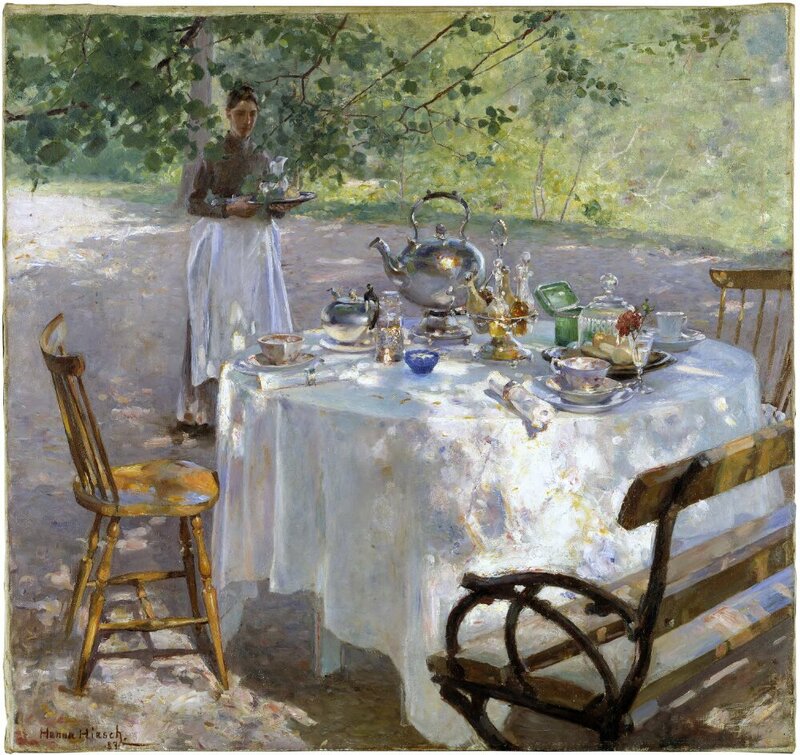 In the late 1880s Breakfast - Time played a major role in Hanna Hirsch-Pauli’s breakthrough as an artist. Already an accomplished colourist, as we can see, she went on to develop those skills in her portrait painting.